During previous CES Shows, the good folks at the CTA, DEG, and NARAS put together a Hi-Res Audio “Tech Zone” in a ballroom at the Venetian Hotel. 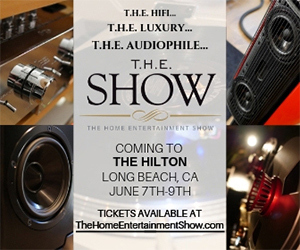 They invited hardware and software companies to participate with booths and held a series of panels to inform attendees about the exciting new world of high-resolution audio. 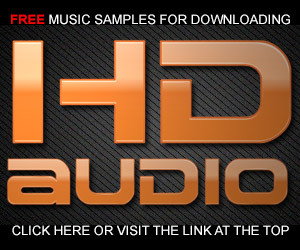 AIX Records, HDtracks, Channel Classics, and a few other audiophile labels exhibited. We were told that we couldn’t sell anything during the three-day event, which made the whole thing rather difficult to justify from a cost perspective. It was even more challenging because the room didn’t attract many attendees except during the panels or when Neil Young made an appearance. However, things are going to be different this year. 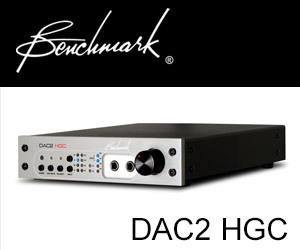 The DEG (Digital Entertainment Group) announced that Hi-Res Audio has found a new home in the Las Vegas Convention Center’s Central Hall in its own pavilion. The major labels, consumer electronics companies, The Recording Academy Producers and Engineers Wing (I am a member of this group) and the DEG has partnered to put this new marketing effort together. And the central focus of the 50 x 40 foot pavilion will be a mock up recording studio. Yep, you’ll be able to experience what those of us in the studio business hear when we’re recording, mixing, and mastering commercial recordings. The promotional line being pushed this time around is to bring a “studio experience” to a new generation of music fans. And to demonstrate the advantages of “the studio experience” will be a number of first rate professional engineers including Gavin Lurssen, Eric Boulanger, Mick Guzauski, Al Schmitt, Bruce Botnick, Dion “No I.D.” Wilson, Vic Anesini, Justin Smith and Steve Berkowitz. Jac Holzman, the former music executive and founder of Elektra Records will also be in attendance. The new exhibit space, which makes its CES debut next month in the LVCC’s Central Hall, will be the culmination of a joint effort by DEG, a coalition of Hollywood studios, the major music labels (Warner Music and Universal Music Group), the Recording Industry Association of America (RIAA), the Japan Audio Society (JAS), MQA, CE retailers, manufacturers and technology providers, and The Recording Academy Producers & Engineers Wing. It’s pretty clear that the Hi-Res Audio marketing machine hasn’t thrown in the towel yet — nor are they likely to. Sony, the biggest supporter of hardware that qualifies for the Hi-Res Audio logo, continues to bring new “hi-res” portable players to market AND even a “hi-res” turntable. In a somewhat surprising move, MQA is listed as one of the partners in the new Hi-Res pavilion in spite of the fact that their process is a software offering. The Hi-Res Audio program is limited to hardware as the people at the JAS explained it to me. The MQA process is a clever process that tucks ultrasonic frequencies into a much lower bandwidth version of a track (actually CD sized) making “Hi-Res Music” streamable with the right hardware and MQA decode-capable players. What happened to the Hi-Res Music logo and initiative for content? But what none of these organizations seem willing to acknowledge is that without a major shift in focus from the artists, engineers, and producers towards higher fidelity recordings, having hi-res audio hardware is meaningless. How many times have I read in the last week about a device that will make high-resolution audio files out of lower standard sources? I have a couple of quick questions. First, what is “retro audio”? Is that another name for program material with marginal fidelity? And as far as I know, a USB ADC/DAC doesn’t provide any tools or techniques for digital restoration of the source being recorded. If there is “surface noise, ticks, or pops” on the source vinyl, then the DSD or PCM digital version will contain those same flaws. Wouldn’t it be better to start with a professionally transferred digital file? Or start creating high-resolution audio files during the original recording sessions? The myth of hi-res audio and hi-res music continues — and visitors to the new pavilion at CES will have the chance to get the latest information about it and audition music from the major labels sold as hi-res music. I hope they have more success than the previous TechZone presentations I experienced. Nobody came to the Venetian to check out hi-res audio and I doubt it will be much better over at the LVCC. I will stop by and check it out. Re: HI Res Audio Pavillion. Seems to me that until enough interested people notice the emperor’s clothes, this will go on. But it also seems that not too many people care whether what they listen to is hirez, lorez or medium rez. At least my children and grandchildren don’t. Ages 12 to 51. I wonder. Are people buying the expensive DAPS and headphones because it’s trendy? 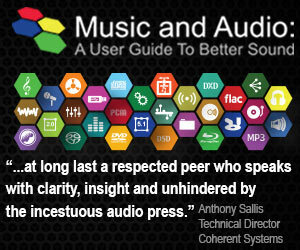 The audiophile world is full of expensive tweaks for those who get into it and have the money. Great sound is largely dependent on having a great recording, a great set of speakers, and a great room to listen in. You nailed it here. Recording quality puts limits on what is possible at the source. Speakers are your next possible bottleneck and where money on the consumer end should be spent. Finally a great room, if the speakers can’t be accommodated by the room you loose the possible benefits. Everything else, and I do mean EVERYTHING else is a piece of cake today. 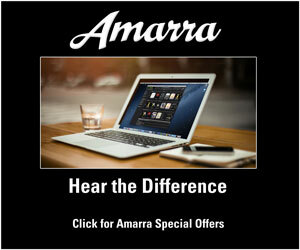 Get recording, speakers and room right and you have it. Why don’t they have attendees in this mock studio environment climb the brickwall – a little made up red brickwall with some kind of waveform spray painted on it – and the first one to reach 0dbFS (“the top”) wins a Sony high-res DAP! I think it would be both loads of fun and educational. Who’s with me? Hi Mark, happy holidays. So far, The Hi-Res thing has buried itself in more ways than it’s worth discussing. The typical consumer is delighted to stream Tidal, because it sounds nice and is easy to access. Just the fact that one has to purchase and load j-river is enough to offput the majority from checking out hi-res. The process of searching and obtaining the material is way too labyrinthian for most folks. So much for hoping folks would hear the difference and get positively excited again about music. The combination of vinyl and hi-res is also a strange path to take, to say the least, IMO. Wow! A Snake Oil convention for fools. I just read an article somewhere about how analog was making such a big yuuuuuge comeback with sales of LPs and record players tripping over each other for market share. As W C Fields said there’s one born every minute. I get the feeling so called Hi res or hi def is a solution looking for a problem. At the current state of the art, development of technologies with greater bandwidth and dynamic range is a no brainer as the hardware to implement it becomes cheaper and cheaper all the time. The question is whether or not it is of any real value and whether that value is only of interest to a small niche market when most of the market is satisfied with mp3, iphones, and ear buds. I wouldn’t put too much stock in what Sony champions. Let’s not forget that Betamax failed even though it was a superior product compared to VHS. Sony’s SACD hasn’t been a smashing success either. .
A serious problem does exist, lack of sales in all segments of High Fidelity gear..
be invented if a real reason doesn’t exist.